The internet was set ablaze last month with the confirmation that J.J. Abrams would be directing the next installment in the Star Wars series. There were so many questions raised: Will he be able to continue directing the Star Trek films? Why did Disney settle on J.J.? Will this revive the brand or somehow manage to decimate it even more than the prequels (Episodes 1-3) did? 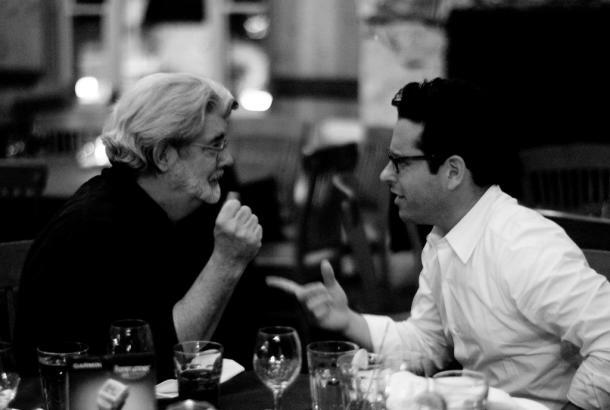 But let’s step a take back and look at the man we are talking about here: J.J. Abrams. Ever heard of the TV shows Felicity, Alias, Lost, Fringe, Person of Interest, or Revolution? What about the movies Armageddon, Cloverfield, Mission: Impossible III, Mission: Impossible – Ghost Protocol, Star Trek (2009), or Star Trek Into Darkness? The common thread to all of these project’s is J.J.’s magic. He gets to the heart of a story and fully exploits it. He understands character. He is a true storyteller, and his works are always a helluva good time. So there is reason to be optimistic. And now he is helming Star Wars Episode VII, tentatively scheduled for Summer 2015. Little Miss Sunshine writer Michael Arndt is writing the screenplay. And the force of Disney juggernaut is behind it (pun intended). Dude is a boss. But this post isn’t just about J.J. This is about the revival of one of the tenets of sci-fi, and by proxy, nerddom. STAR WARS. The geek in me is bubbling over with excitement. I grew up on these films. Hell, generations have grown up on these films. This is monumental. But it doesn’t stop there. Reportedly, Disney is also making 2 standalone Star Wars movies aside from the new trilogy, each to be focused on one character. These movies will be released in between the new trilogy movies. Lawrence Kasdan (The Empire Strikes Back, Return of the Jedi, Raiders of the Lost Ark) will write one spin-off with Simon Kinberg (X-Men: Days of Future Past), so we can be assured that their work will be true to the legacy of Star Wars. And Frank Oz (the original voice of Yoda) has already gone on record saying that he is game to reprise the voice that he made famous if Disney wanted (even if it would be likely that CGI would replace his puppet work). Nevermind that Yoda died in Episode VI. Anything is possible in sci-fi. So like I noted in the title of this post, Star Wars will be dominating movie theatres for the next few years. But the excitement Star Wars fans feel internationally is also tempered by the fear of repeating (or or even exacerbating) the tragedy that was the prequels (Episodes 1-3). What if this new team crashes and burns? I mean, the bar is set incredibly high, and if they do anything to sully the legacy of Star Wars, die-hards from around the globe might hunt them down and crucify them. For now, let’s all just hope that the magic J.J. Abrams worked with Star Trek is transferable, because if it is, this is a moment for rejoicing. 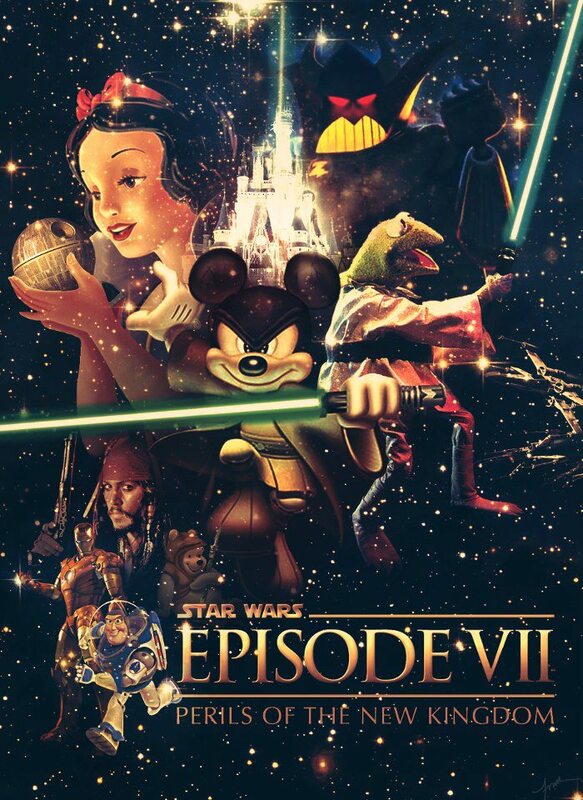 So with the stakes so high, why would Disney venture into this territory? Well, Disney likes money. And they can spot a cash cow when they see it. They paid handsomely to own all things Star Wars ($4.05 billion to be exact), and I wouldn’t expect them to do anything less than mine it for all that it is worth. Let’s just hope that in the effort to squeeze every penny out of the Star Wars brand as possible, they don’t lose the spirit of the movies. How do you feel about the reemergence of Star Wars? Are you on board with J.J. Abrams? Disgusted by Disney? Let us know how you feel in the comments!